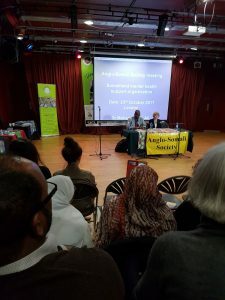 Somaliland Mental Health Support Organization executive team participated highly event occurred Oxford house organized Somali Week Festival and Angalo-Somali Society and present their current operations in Somaliland and plans. The presentation submit ted to the participants was mainly concerned about Somaliland mental health support organization’s current operations and support on the ground which has it significance and attract a lot people even outside our nationality but share common interest and common feeling to focus humanitarian issues in the Horn of Africa generally and particularly Somali development in social aspect. Although many of Somalilander attended the meeting did not aware these activities and how this scheme came on the stage while a lot of people are focusing the political calamities in our country and asking how we run and avoid to affect local political affairs in our country. 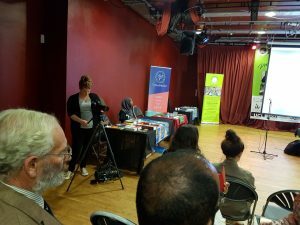 Thus, Dr Mohamed Yousuf Culimo make a significant presentation towards the milestone achievements of the organization and participants listen carefully and attentively about the history of Somaliland mental support organization and people started and how they established this forum from the capital of Wales Cardiff about 2011 and 2012 from the idea of our chair Nasir Geeljire and his team in Cardiff the ca pital of Wales but spread to gr eater Somaliland communities who reside in United Kingdom and majorly of them understand the aim and show their full support and generosity. 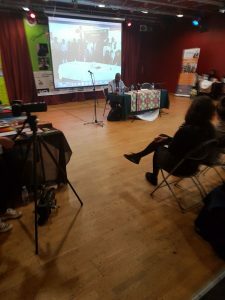 Dr Mohamed Culimo continue his presentation which was very outstanding and outline the needs of our patients, discrimination and stigma they are facing and the need to improve our health centers that are currently overcrowded and some are struggling shortage of medical supplies, equipment and resources. The main focus was to provide awareness and information to audience and expect their assistance interns of donations and In terms of volunteering and sharing their skills and knowledge to help the health centers in Hargeisa and the other districts of Somaliland if they are able to reach the SMHO is ready to prepare any local transport and facilitation. Finally, we distribute our leaflets and speak number of audiences and exchange numbers to continue raising our agenda to eradicate about metal stigma inside our Somaliland populations and treat illness equally like other illness that affect our people. 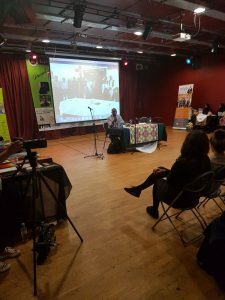 Insha Allah we will continue to raise this issue and in put our efforts to support voiceless community in Somaliland concluded Dr Culimo his Speech and thank and acknowledge the Somali week festival team with their warm welcome and the possibility of arranging this platform to reach such immense community.